First of all – I would like to offer my gratitude to Maitri Dharma Sangha for enabling me to have an audience with Mahasmabodhi Dharma Sangha Gurujyu who is an embodiment of pure spiritual awareness, meditation and yoga. 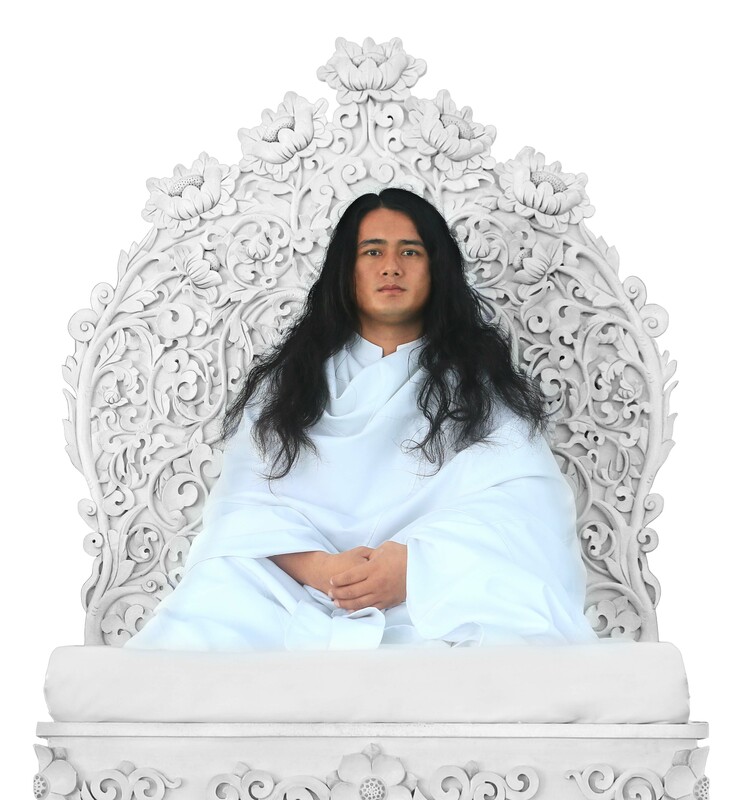 I hold deep and abiding reverence to Gurujyu for much sought after and rare opportunity made available to me to be illumined by his noble and pure thoughts, percepts and observations. Though some people may dismiss the thoughts and observations of Gurujyu as baseless gossips, I am firmly convinced of the depth, rationale and significance of the words spoken by Him. In the interaction with this scribe (Aaalekhkarta) Gurujyu was emphatic on the need to rise above and eliminate discriminations based on such attributes as religious faith, communal affiliations, power, status, wealth and qualification. We are all aware that we do not bring none of these things on this earth when we are born. It is therefore worthless and futile to create disparities and practice discriminations based on selfishness, prejudices, ignorance and egotism. They, in fact, pose hindrances to usher peace and harmony in the society. It is better to throw them aside and pursue the path of non-discrimination, harmony and righteousness. Gurujyu spoke to me on the need to eschew false acrimonies, mutual hatred and animosities which can ultimately result into social unrest and discord. Words spewed out of the mouth should not be let to hurt the heart of the others. Only carefully worded right speech can help people move ahead constantly on the journey of peace. He cautions against killing of animals and indulgence on violent acts and also makes an exhortation to eat simple vegetarian food. Gurujyu emphasizes on the need to bear the ecological interdependence of the animal world in mind and mentions that this sensitivity can alone enhance weal and welfare of the animate being and saves from all kind of destruction and calamities. Mentioning that the world is one home and one entity, Gurujyu stresses it is not worthwhile to nurture parochial and narrow identities and prejudices to the detriment of the welfare, peace and harmony. When Gurujyu was doing deep meditation in Halkhoriya jungle, people used to throng there at day time to see as if it was a strange sight, pelt stones, dart him, ridicule at him. In the evening people used to get back home due to fear of the wild animals leaving the child in deep trance to fend off alone in the dense forest. The birds built nest in his body as it was a deadwood. Mosquitoes and wild insects fed on his body. But Mahasambodhi Gurujyu was undaunting and surmounted all these adversities. Finally, Gurujyu succeeded to attain enlightenment and declared Deshnama for the salvation of all–animate and inanimate–being. One day in the sacred site of Halkhoriya Gurujyu was attacked and bullets were sprayed on his body. The news spread that he was killed and the newspaper also reported it. Next day police force came to recover his dead body. Police surrounded the site but they discovered that the Gurujyu was alive, not killed. As shared by Gurujyu with this scribe, he was provided cover and protected by Sarva Gurus (all the enlightened masters) when the bullets were rained on his body. It is disconcerting to note that the Forest department of the Nepal Government has ravaged and destroyed all the sacred sites and spaces built in the holy Halkhoriya jungle. A conspiracy to displace and remove Gurujyu from holy Halkhoriya Jungle was hatched. The Sanghs spread over 163 countries have emphasized on the need to develop the Halkhoriya holy jungle as the sacred centre of pilgrimage by declaring it as the religious forest. No other option exists than to preserve and protect the site to spread the message of world peace and human welfare under the aegis of Maitri Dharma Sangha. The decision taken by the previous government headed by Sher Bahadur Deuba, though very ambiguous, should be firmly upheld and further clarified in concrete terms to declare Halkhoriya as the religious forest by the incumbent government headed by K. P.Oli. This scribe also makes an impassioned plea to the government to recognize the importance of the site and declare and protect it as the religious forest. Once an untoward incident occurred in the Halkhoriya forest. A gang of people wielding Khunda and khukuris made an attempt on the life of the Gurujyu. Some news media flared up the incident. Those miscreants who had not been able to follow and violated 21 code of conduct(Sheels) prescribed struck collusion with some evil forces outside may be due to the lure and influence of the financial interests to defame and malign the holy image of Gurujyu. They made unfounded and baseless charges and accusations against him. 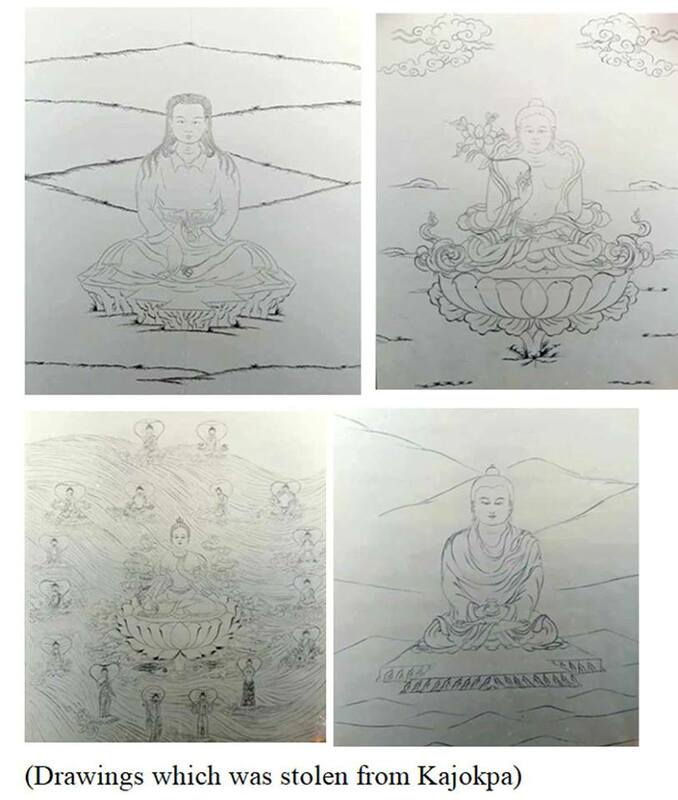 The same group of miscreants continued with their misdeeds in defaming Gurujyu, stole the important, invaluable and precious artefacts designed and produced in accordance with the direction of the Gurujyu by three Khaibas namely Uttam Lama, Sangbo Dong (Sindhupalchowk) and Chhewan Ghalan (Makawanpur) from Parthagahatta where they were kept and preserved. This incident has hurt this scribe too badly. Why is the government keeping mum and playing indifferent to what is being done to malign the image of Gurujyu? Is it not the repetition of the unwise and insane acts executed against the living enlightened masters ? The government needs to think of preserving and protecting the precious spiritual resources and discourage the nefarious activities of the miscreants and evil forces to malign the image of the enlightened master to respect the sentiment of the spiritual people. In case the devout followers of Gurujyu started to post the images of these precious spiritual resources in the face book and other social media, this might raise a difficult situation for the government. The government should therefore act promptly. It would be relevant to summarize a story to get the message across in this regard.